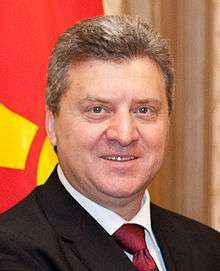 The President of the Republic of Macedonia (Macedonian: Претседател на Република Македонија) is the head of state of the Republic of Macedonia. 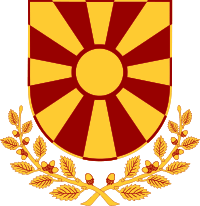 The institution of the Presidency of the modern Republic of Macedonia began after the Macedonian declaration of independence on 8 September 1991. 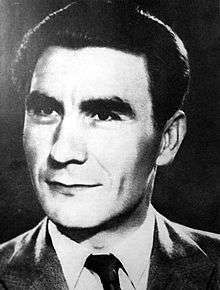 Its first president was Kiro Gligorov, the oldest president in the world until his resignation in 1999. The Macedonian presidency is largely a ceremonial post and the Prime Minister of Macedonia is the country's leading political figure and de facto chief executive. The president must be a citizen of the Republic of Macedonia, be over 40 years of age and have lived in Macedonia for at least ten of the previous fifteen years. 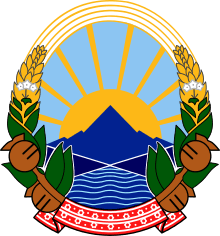 During the period of the Socialist Republic of Macedonia, there was a collective presidency which was abolished in 1991. Its first president was Metodija Andonov Čento elected at ASNOM, when the modern Macedonian state was formed, while the last one was Vladimir Mitkov. Following the transition from socialist system to parliamentary democracy in 1990, the Socialist Republic of Macedonia changed the collective leadership with a single-president post in 1991. Kiro Gligorov became the first democratically elected president of the Socialist Republic of Macedonia on 27 January 1991. On 16 April 1991 the parliament adopted a constitutional amendment removing the term "Socialist" from the official name of the country, and on 7 June of the same year, the new name Republic of Macedonia was officially established. Hence Gligorov continued his function as a president of the Republic of Macedonia. After the process of dissolution of Yugoslavia began, the Republic of Macedonia proclaimed full independence following a referendum held on 8 September 1991. On completing his second term as head of the independent state Gligorov was succeeded by Boris Trajkovski in 1999. Following Trajkovski's death in 2004, he was succeeded by Branko Crvenkovski. 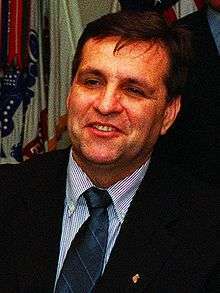 Gjorge Ivanov won the 2009 presidential election and took office on 12 May 2009. He was re-elected in 2014. Kiro Gligorov was incapacitated after an assassination attempt in 1995. 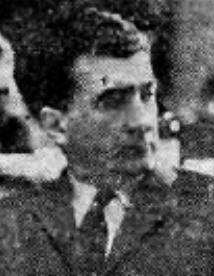 Stojan Andov served as acting leader during Gligorov's incapacitation.